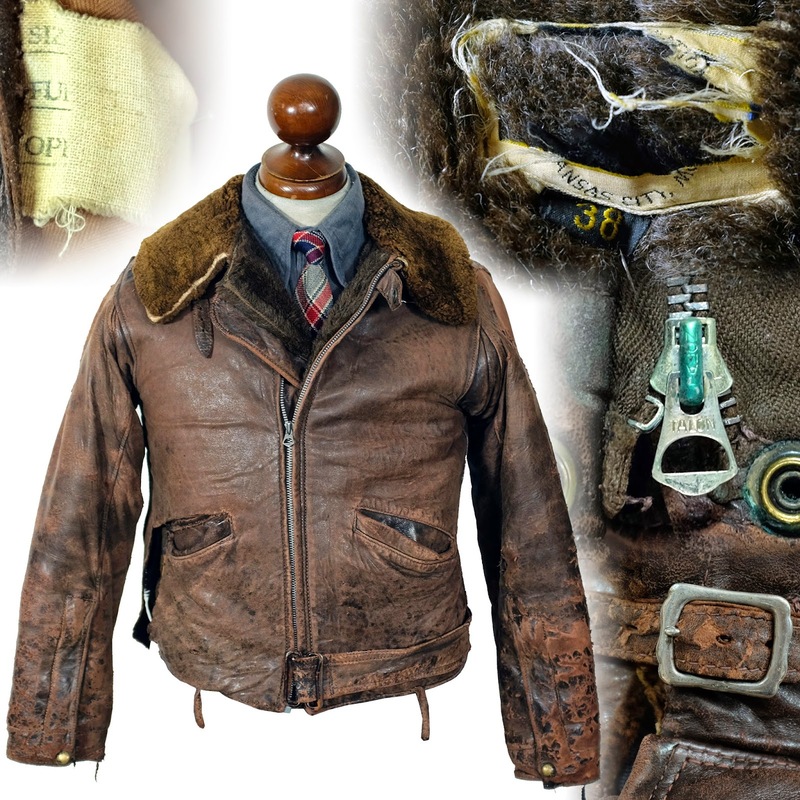 This leather jacket was made in the 1980s or so in the style of a 1940s fully belted leather surcoat. The belt buttons on and off like the originals (though most of them have lost their front sections). It has a zipper front (the nylon ykk is a giveaway to an otherwise nice reproduction) and a bi-swing back.